In my profile of William Shakespeare’s character, King Lear, from the play of the same name, it was clear that Lear was suffering from dementia and, most probably, Lewy Body dementia. 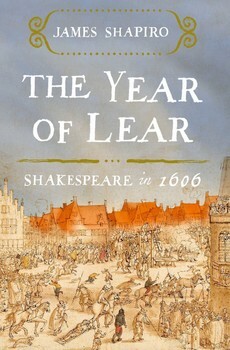 So I thought I’d share my review of The Year of Lear: Shakespeare in 1606 by James Shapiro to get a wider perspective on the year that saw Shakespeare give a title character in one of his plays many of the behaviors and symptoms of advanced cognitive impairment and Lewy Body dementia. This book explores how the world around Shakespeare (beginning with the Gunpowder Plot on November 5, 1605 – now commemorated annually in England as “Guy Fawkes’ Day” – which had deep political and religious roots) during the early part of the reign of King James I, with an especially tumultuous year in 1606, influenced his writing that year. 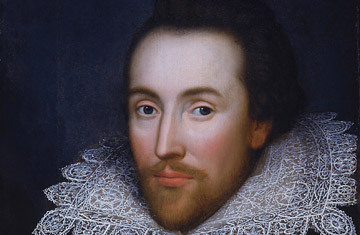 Much of what was going on politically, socially, and emotionally in England at the time is reflected in the lines of King Lear, Macbeth, and Antony and Cleopatra, all of which are among Shakespeare’s tragedy plays and all of which Shakespeare wrote in 1606. The Gunpowder Plot in late 1605 triggered much of the political and religious climate that overshadowed 1606. The plot, engineered by English Catholics who feared greater persecution – they got it – and more “do-or-die” pressure to abandon their Catholicism – a prescient fear even they didn’t realize the extent or depths of of James I – underscored the continued intense subterranean battle between England’s Catholics and Protestants. While the plot was thwarted by the usual treachery and intrigue (it would have obliterated much of the heart of London government – buildings and people – and would have significantly changed the overall physical landscape of London), James I – as King of Scotland first, he was viewed as an interloper by much of the English population – reacted ferociously with a wide net that touched every English citizen, including Shakespeare, determined to have his will – the union of Scotland and England under one umbrella – no matter what he had to do to make it happen. It seems James I did everything he could to alienate his English subjects, including moving, by disinterring, the graves of the royals in Westminster Abbey. Most notably, he disinterred Elizabeth I and buried her on top of Mary I (“Bloody Mary,” the religiously-fanatical daughter of Henry VIII and Catherine of Aragon, whose main accomplishment on the throne was a religious pogrom against Protestants, of whom Elizabeth I was one), then moved his mother, Mary, Queen of Scots (one of Elizabeth’s staunchest rivals for the English throne), into Elizabeth’s grave and giving her a greater position of status in the cemetery. Shakespeare, who lived in the heart of London most of the year, had a front row seat to all of this as part of the King’s Men, who were patronized by the crown, as they had been during Elizabeth I’s reign. 1606 was a year of fear (the plague hit London particularly hard during 1606, adding to the political and religious fear that was rampant in the city) and division (political and religious) and nostalgia (although by the end of her long reign the English believed Elizabeth I’s rule had become stagnant, the actions of James I made them long for her “good old days”) that punctuated the year. I highly recommend this book even for people who may not know or really appreciate the incredible talent and acute, heart-of-the-matter insight that Shakespeare brought as a writer to his plays. Perhaps it will be a catalyst to go and read at least these three plays through the eyes of 1606.